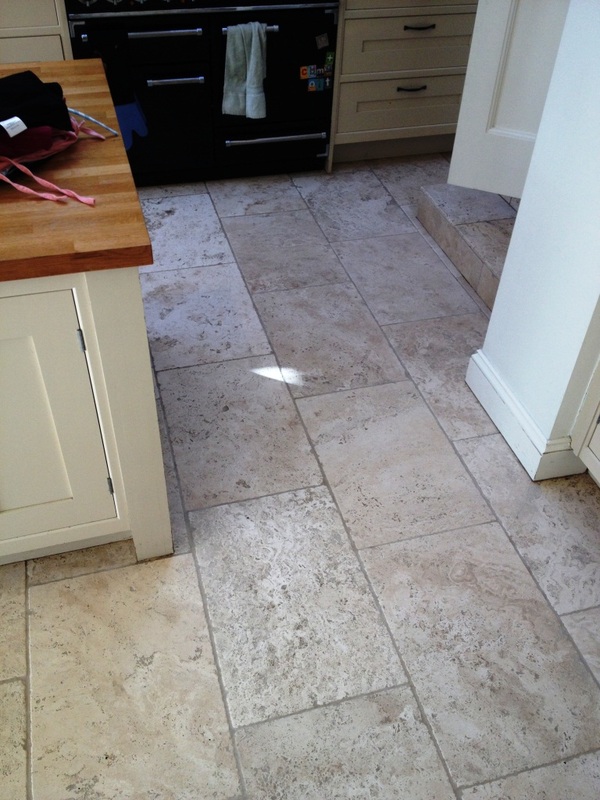 Another Tumbled Travertine kitchen floor, this time in Teddington and much dirtier than the previous post. 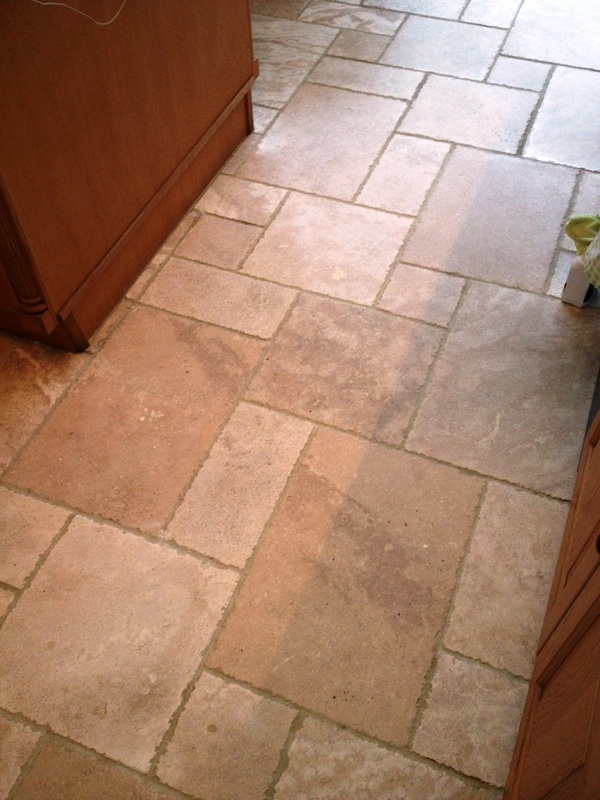 The grout was badly stained and dirt had built up in the pores of the tile causing it to go black and very un-appealing. Normally a sealer would stop this from happening and I suspect these tiles had either never been sealed or the sealer had worn off some time before. 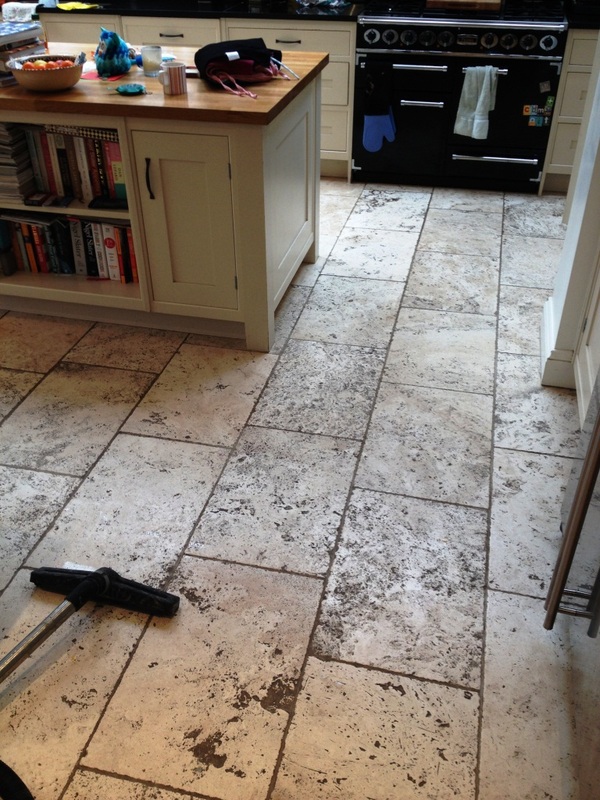 The tiles were in need of a seriously deep clean so decided to clean it using a 50/50 dilution of Tile Doctor Pro-Clean and NanoTech Ultra Clean which adds tiny abrasive particles into an already powerful cleaning agent. This was left to soak into the floor for twenty minutes before being scrubbed in with a using a rotary machine fitted with a scrubbing pad. The combination worked and the soiled cleaning solution was black with dirt which was washed off using clean water and a wet vacuum. This action was repeated until I was happy with the condition of the tiles; during the second clean a stiff brush was used along the grout lines to get them clean. The last step was to give the floor a thorough rinse to remove any trace of cleaning product before sealing. 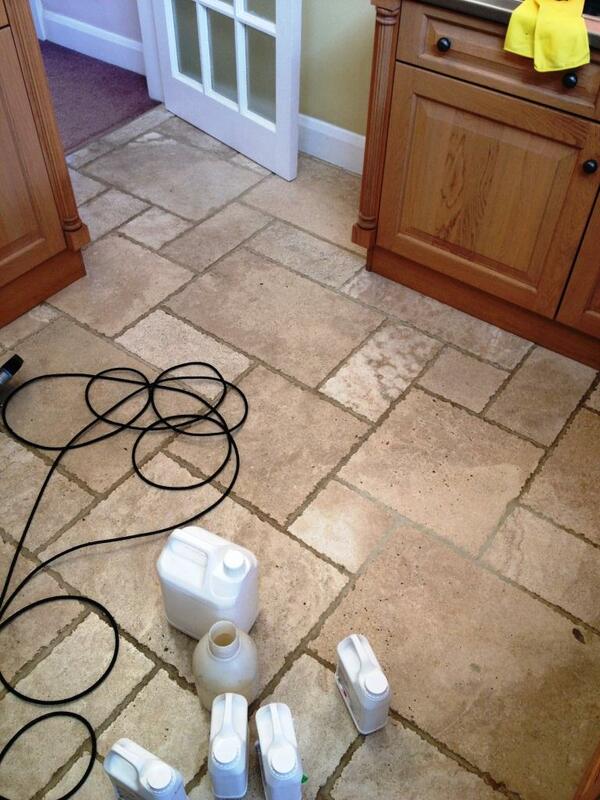 The floor was then left for 24 hours to allow the floor to dry and when I returned I checked the floor was dry with a damp meter to double check before sealing it with two coats of Tile Doctor Colour Grow which is an impregnating sealer which fills the pores of the travertine so dirt cannot become trapped and is easily cleaned off the surface. Details below of a Victorian tiled porch in Twickenham which was ingrained with dirt and in need of a deep clean, there was also evidence of paint splashes from decorating work which would also need to be removed. 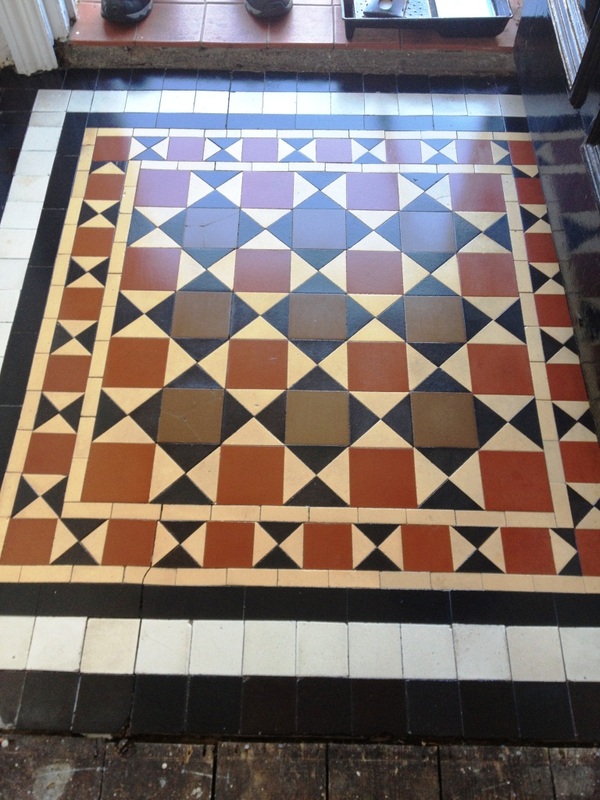 We set about cleaning the Victorian tile using a steamer in conjunction with Tile Doctor Pro-Clean which is a very effective Tile Cleaning product worked. 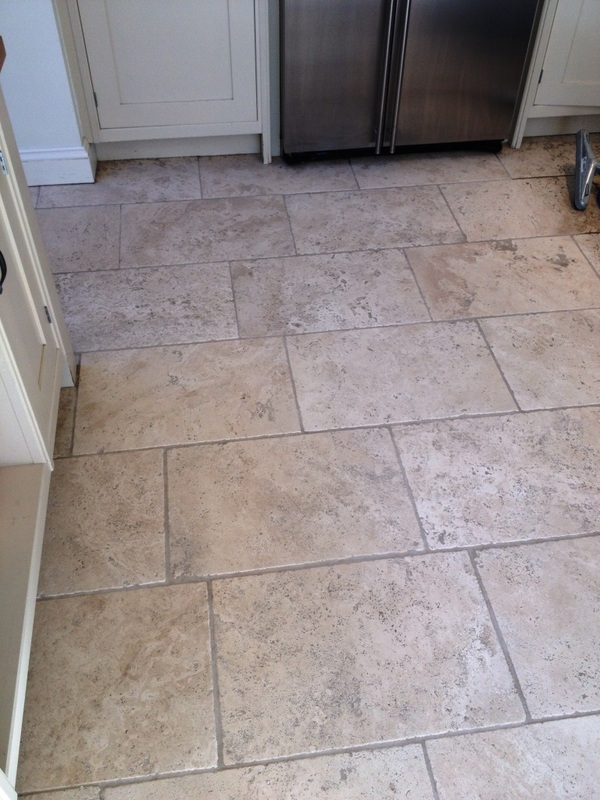 It was a small space so the tile and grout were scrubbed by hand wand using a stiff brush, it wasn’t long before we could see the dirt coming out of the floor. 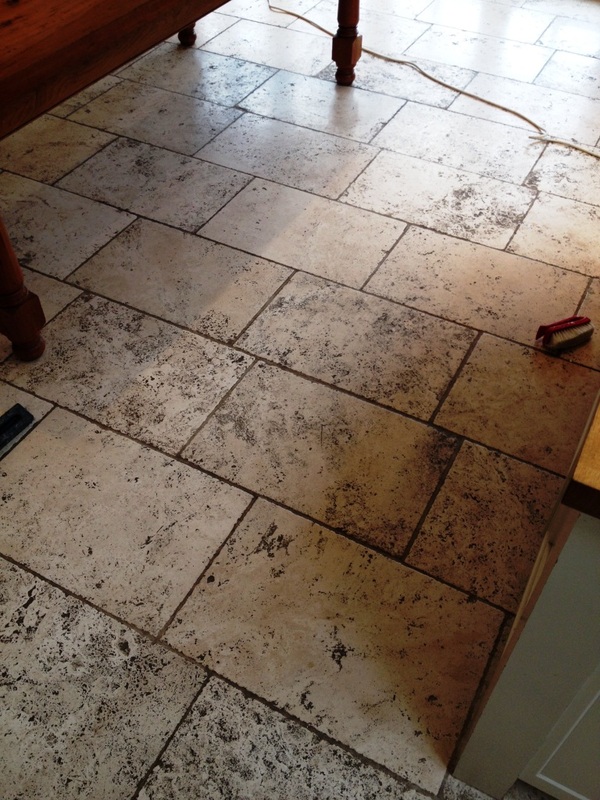 The soiled cleaning solution was picked up with a wet and dry vacuum and then Tile Doctor Remove and Go was applied to the paint spots leaving it to dwell for a while before further scrubbing. Once I was happy the tiles were now clean the floor was given a thorough rinse with fresh water to remove any leftover chemical and then left to dry. Once the floor had dried four coats of Tile Doctor Seal and Go was applied to the tile and this gave it a high sheen and durable finish. 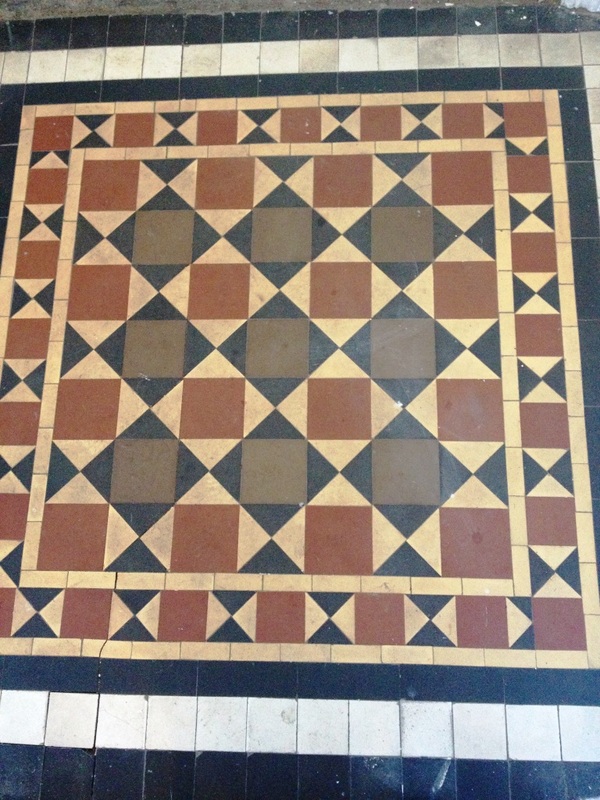 Seal and Go will provides good stain protection and really enhances the appearance and colour of Victorian tile. 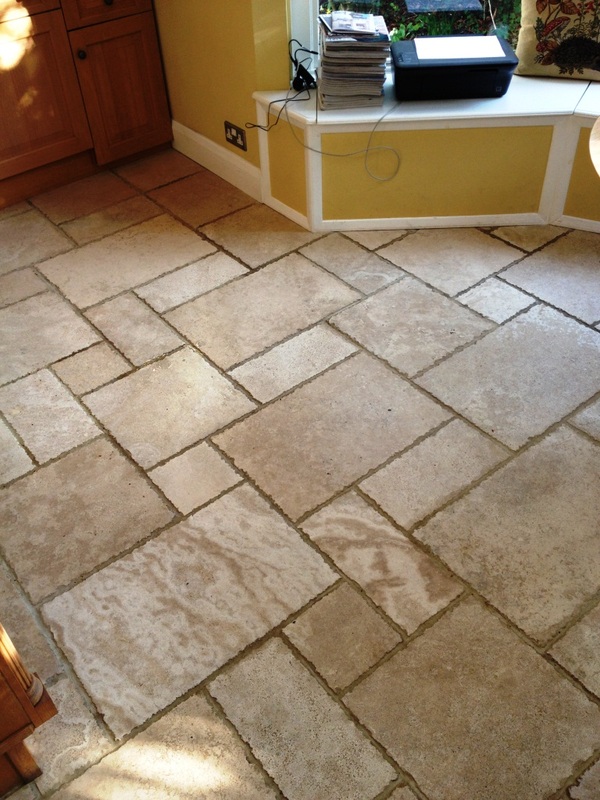 I think you will agree from the photographs that the appearance of this beautiful tiled floor had been much improved. 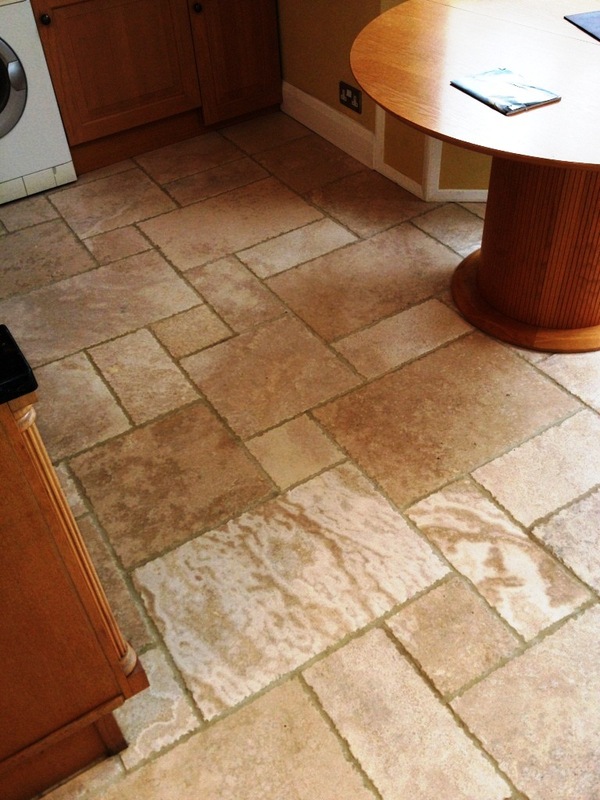 If you have a similar issue with your floor do get in touch for a free quotation, Tile Doctor can service all types of natural and man-made stone flooring covering most of the UK.